The Talmud provides us with two and a half pages of intricate discussion which deal with the various aspects of the mitzvah of lighting the candles of Chanuka. See Shabbat 21a-23b. It provides us, however, with a very brief description of the origins and nature of the holiday itself. The description that it does provide is vague and is incomplete, to say the least. Rashi adds to this that these days were not established to prohibit work, but only to read Hallel and say the Al Hanisim. This Braita is problematic. First of all, there is no mention of who established the holiday in the first place. (e.g. was it a Rabbinic edict?) Second, there is no mention in this Braita of any requirement to light candles. Finally, there is no explanation why the miracle of the oil was so significant that it merited establishing a holiday. With regard to why the Braita does not mention lighting candles, one possibility which may explain this anomaly is that in the following year, the Menorah was already lit in the Temple and what could be accomplished if the individual lit as well? Indeed, it could have been a transgression because the individual would be emulating a ritual which was restricted to the Temple. That, however, does not prevent a celebration of the historical event through the saying of Hallel and Al Hanisim as well as a prohibition against fasting and mourning. Rav Kahana asked: There was an occurrence and the Rabbis decreed a fast day on Chanuka in the city of Lydda. And (despite the decree) Rabbi Eliezer bathed and Rabbi Yehoshua had a haircut. Rabbi Eliezer and Rabbi Yehoshua said to the Rabbis, you should fast (i.e. do Teshuva (Rashi)) because you fasted (on Chanuka). Rabbi Yosef said that Chanuka is different because it has a specific mitzvah attached to it. Abaye said to him, then let us nullify the holiday and its mitzvah will automatically be nullified as well! But Rabbi Yosef said, Chanuka is different because the miracle was already universally proclaimed. Rosh Hashana 18b. This story shows that the popularity of Chanuka was so great that it was kept even after the Temple was destroyed. Consequently, it implies that Chanuka was established earlier, even while the Temple stood. This makes sense because if it was enacted after the Temple was destroyed, it should have been counted among the other mitzvot established by Rabbi Yochanan Ben Zakai as Zecher L’mikdash, as a reminder of the Temple. We can thus conclude that the Rabbis who formed Megillat Taanit also included Chanuka. That Rabbinic warrant should have ceased when the Temple was destroyed. However, the Rabbis who lived after the destruction of the Temple did not wish to nullify it because of its great popularity and great pressure by the people to keep it. It is difficult to understand why in both of these Talmudic passages (Shabbat 21b and Rosh Hashana 18b) which discuss the origins of Chanuka, they speak vaguely about the commandments associated with Chanuka, but there is no mention of lighting the candles which are the central focus of Chanuka and to which the Talmud offers so much discussion. Also, it does not explain why it was so popular among the people. The Talmud itself states that there is no sanctity attached to the candles, yet they are treated like sacred objects and one may derive no personal benefit from them. Shabbat 22a. Perhaps there was a fear that people would treat it with sanctity and consider it part of the sacrificial structure, and there were great restrictions about using sacred objects of the Temple outside its precincts. When Israel was victorious over her enemies and destroyed them, it was on the 25th day of the month of Kislev. They entered the Temple, and they did not find pure oil in the sanctuary except for one tin and there was not enough oil in it to light but one day. And they lit the normal established order of candles for eight days until they pressed olives and extracted pure oil. And because of this, the Chachamim of that generation established that these eight days which begin on the 25th of Kislev should be days of happiness and praise and we light on them (the days) candles in the evening at the opening of the houses, each night of the eight nights to show and reveal the miracle. And these days are called Chanuka and mourning and fasting are forbidden like the days of Purim. And lighting the candles on these days is a mitzvah established by the Rabbis (midivrei sofrim), just like reading the megilla. Mishneh Torah, Laws of Chanuka, Chapter 3, Laws 2 and 3. 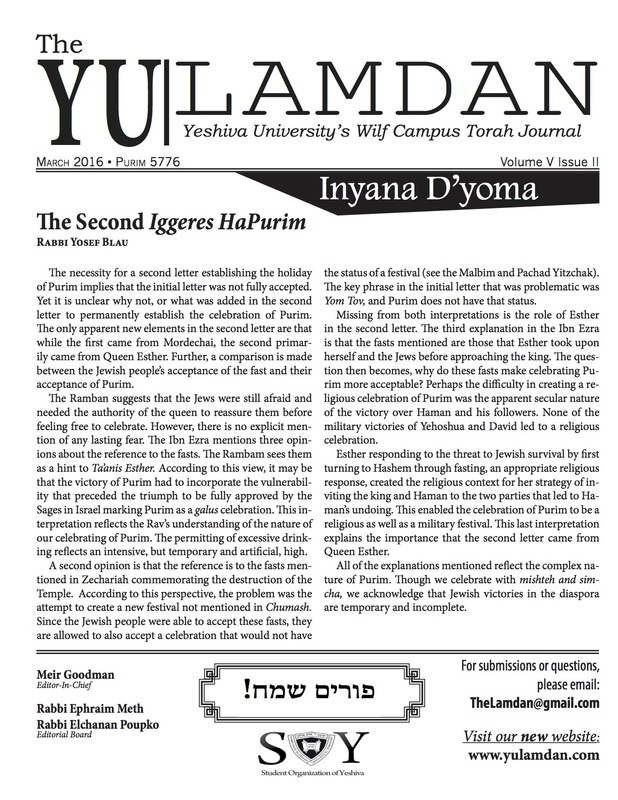 Thus we see from the Rambam that it is very likely that the enactment to light the candles occurred during the generation when the miracle took place and that it was Rabbinic Authority which established the requirement or mitzvah of lighting the candles no different than the Bet Din established the holiday of Purim. The only thing which takes precedence over the Chanuka candle is the Sabbath candle because the Sabbath Candle brings peace in the home and peace between husband and wife. And peace is so important, that the entire Torah was given for the purpose of bringing peace to the world. Ibid Halacha 14. One difficulty with the Rambam is why was it necessary to light candles outside the sanctuary at a time when the Menora was lit in the sanctuary? At best, it is unclear what it adds to the lighting of the menorah and at worst it lends itself to a transgression of performing a Temple ritual outside of the Temple. Also, although the Rambam explains that the holiday is based upon the miracle of the oil and that the importance of lighting the candles is to show and reveal the miracle, he does not explain why the miracle of the oil was so significant. Why is it so important to the Jewish people to remember this miracle? Does God really need the light emanating from the Menorah in the Temple? For all the forty years that the Children of Israel wondered in the wilderness, they were only able to travel due to His light! (i.e. God is the source of light so why does he need light from the Menorah in the Temple?) However, this (light of the menorah) is testimony for all those who come into the world (i.e. every human being) that God’s presence resides in Israel. What is the proof? The western candle (in the Menora) received the same amount of oil that all the other candles received . . .he (the one who lit) began lighting all the other candles from it (western candle) in the evening and he concluded the cleaning of the menorah with it the next day. Shabbat 22b. Although there is a controversy among the Rabbis as to which was exactly the “western candle” and whether there was a violation by using one candle to light the others, the major point of the Braita is clear: it was the unusual long duration of the light of this candle which was a miracle that demonstrated God’s presence within the people of Israel. We could thus say, that recognition and observance of the unnaturally long duration of the oil found during the Maccabean revolt was the testimony or evidence which the people of Israel required at that moment in history which demonstrated that God had not abandoned them. The lengthy duration of the oil represented the eternal duration of God’s presence with them. God was sending them a clear message that no matter what circumstance they may find themselves in, His presence will always be with them; He will always be their God and they in turn will always be His people. Thus, the popularity of the Chanuka miracle which Israel held so close to its heart was not the oil or the miracle per se, but what the miracle implied. Similarly, the importance of the candles is not the lighting itself, but what the candles represent, i.e. God’s presence dwelling amongst Israel. Perhaps that is why the Gemora when discussing the origins of Chanuka does not specifically mention the lighting of the candles. Indeed, the Gemora in Shabbat 21b mentions the Hallel and Hodaah because that is Israel’s response to receiving God’s presence. This could also explain why the Rabbis established Chanuka while the Temple stood even though there was already a Menorah in the Temple; because the Jews wanted to see the candles for themselves to welcome God’s presence in their own homes. It was this desire for God’s presence that made Chanuka so popular that the Rabbis could not nullify it. And it is the reason Chanuka is so precious in our lives today.